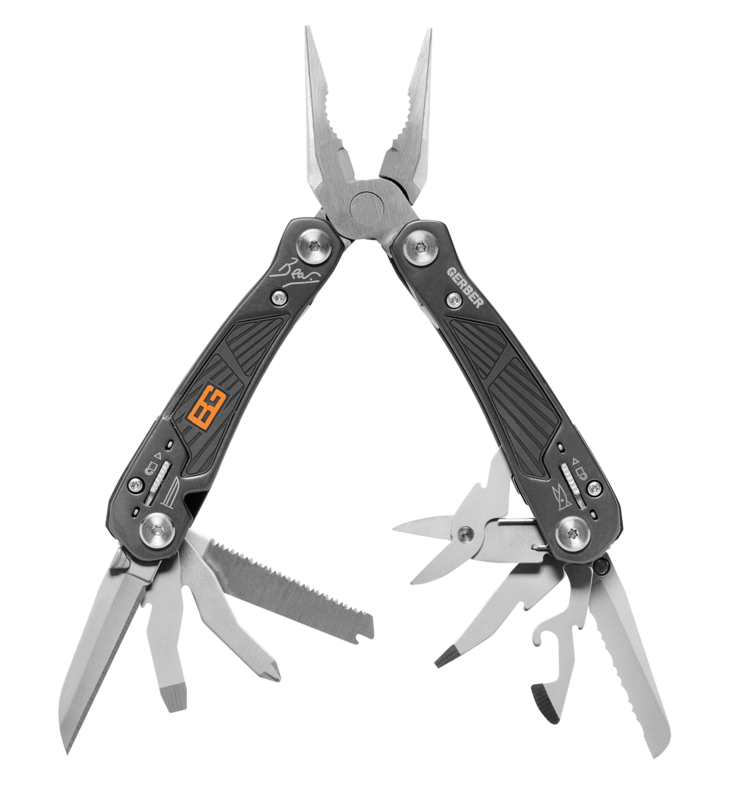 12 Stainless Steel, Weather-Resistant Components Needle Nose Pliers, Fine Edge Knife, Serrated Knife, Saw, Phillips Screwdriver, Small Flat Driver, Medium Flat Driver, Lanyard Ring, Bottle Opener, Can Opener, Scissors, Wire Cutters, Ergonomic Textured Rubber Grip Maximizes comfort and reduces slippage, Spring loaded jaw for simplified single-hand use, External components for easy access, Patented Safe.T.Plus System Enhanced safety by locking components into usage position, Nylon Sheath Lightweight, military-grade, mildew resistant. Includes Land to air rescue instructions. Priorities of Survival Pocket guide contains Bears survival essentials.